August 12th, 2015 | Moving Tips, Packing Tips. When you move to a new home, you try to pack and travel efficiently. But even smart moving practices can have a negative environmental impact. From non-degradable packing materials to toxic gases emitted during transit, a move has potential for a large carbon footprint. Use the following steps during each stage of your move to make the process more sustainable. Adopt these sustainable practices as you prepare for the big day. When you move, you have to leave your old home clean for your landlord or the next owners. Cleaning products emit toxic chemicals, including phosphorous, nitrogen, and ammonia. Green cleaning solvents reduce the pollution your move-out cleaning causes. Use sustainable containers as you pack to reduce the waste of your trip. Either use recyclable cardboard boxes or reusable plastic crates. As you organize your belongings, separate items you can sell or donate. The heavier you have to pack your moving truck, the more effort and fuel the truck must use. The way you move holds as much importance as how you pack and settle into your new home. Use these strategies to keep your move green. Plan your driving route and follow your plan. Drivers who follow a set route save money on gas and rental truck time. Additionally, these movers produce less carbon monoxide while on their drives. If you plan to drive a moving truck or van, transport your everyday car via rail. On average, a train is four times more efficient than a truck. Combine a planned route and a railway car shipment to produce as few greenhouse gases as possible. To ensure you take as many green steps as possible, work with an eco-conscious mover. 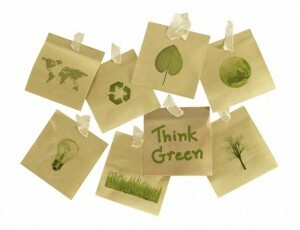 Look for a mover who uses sustainable business practices in addition to offering green moving options. These companies are more likely to practice safe transportation, disposal, and production. Contact a local Wheaton agent for more information about planning an eco-friendly move. Once you reach your new home, immediately implement eco-conscious practices like setting your thermostat and using natural light. While you unpack, use these steps as well. As you move in, maintain a green presence. If you need to repaint before decorating, choose eco-friendly paint. Once you finish, return the cans to your home renovation store. The store will use any leftover paint and recycle the empty cans. If you need to add any furnishings to your belongings, look for secondhand pieces. Secondhand shops reduce the waste in local land fills. Whether you use crumpled newspaper or biodegradable packing peanuts, recycle your packing materials. If you purchased foam, bubble wrap, or cardboard boxes, list them online for other moving families to use. As you bring in your belongings, close the door between each person. If the weather allows, avoid turning on the heater or air conditioner until after you bring inside everything. This reduces the amount of energy you use on your first day in your new home. During the moving process, consult with your transport company. The staff members can identify other ways to reduce your move’s environmental impact. Address your concerns about sustainability with the crew who helps you. When the movers know your priorities, they can better perform their job. As you complete each stage of your move, look for areas where you can reduce material and energy use, use sustainable alternative options, and make responsible disposal easier. Use the 9 tips in this blog to start.